Welcome to the website of the Vancouver Branch of the Canadian Authors Association (CAA). Our Branch is one of several Branches established across Canada. Locally, we have lectures, workshops, and social events. We hope that you will join us at our meetings to find out more about what we can offer you in your writing career. Look in our What’s New sidebar (below the site navigation) to find the most recent updates. As part of the prize, the winners’ works and submissions from over half our membership are included in National Voices Anthology — a collection of fiction, non-fiction, and poetry written by members of CAA–Vancouver. Learn more…. 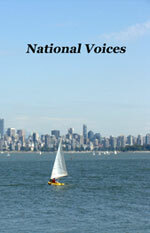 The anthology costs $20 and is available online ($5 shipping) and at CAA–Vancouver monthly meetings. In addition to our regular meetings, we offer one or two workshops each year, for which a fee is charged. These workshops are offered at a discount to our members. For details, see our Meetings and Workshops. 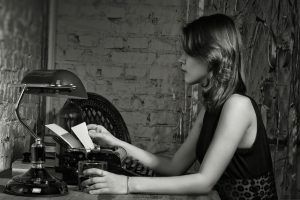 Vancouver Branch has regional writers’ circles to accommodate members who are interested in participating. For more information about CAA Vancouver Branch, please send an email to Branch President Margo Bates or phone 604-788-9501 or check us out on Facebook. A listing of the 2013 Branch Executive and additional contact options are available on our Contact page. As well, you will find relevant contact information for events and other services on various pages within our site. For help with your writing, see Writer-in-Residence. The use of this website and the email addresses contained here are subject to our Conditions of Use. CAA National where you can learn more about our organization, including information about other CAA branches. Writing Links on the CAA National site. CAA Literary Awards are prestigious national writing awards given to writers by writers. CAA Membership forms and information. CAA National Conference is held annually, in varying locations.